Get Lynn Anderson essential facts below. View Videos or join the Lynn Anderson discussion. Add Lynn Anderson to your PopFlock.com topic list for future reference or share this resource on social media. 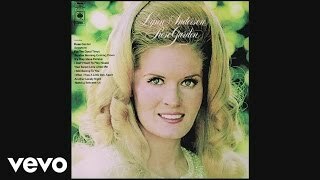 Lynn Rene Anderson (September 26, 1947 - July 30, 2015) was an American country music singer known for a string of hits throughout the late 1960s, 1970s and 1980s, most notably her 1970 worldwide megahit "Rose Garden." Anderson's crossover appeal and regular exposure on national television helped her become one of the most popular and successful country stars of the 1970s. Anderson charted 12 No. 1, 18 Top 10, and more than 50 Top 40 hit singles. In addition to being named "Top Female Vocalist" by the Academy of Country Music (ACM) twice and "Female Vocalist of the Year" by the Country Music Association (CMA), Anderson won a Grammy Award (earning seven nominations), People's Choice Award and an American Music Award (AMA). Anderson was the first female country artist to win the American Music Award (1974), as well as the first to headline and sellout Madison Square Garden that same year. She was the #13 music artist of the 1970s according to Joel Whitburn and the highest ranking country artist not yet in the Country Music Hall of Fame and Museum. Anderson debuted in 1966, at the age of 19, and had her first hit with Ride, Ride, Ride. After a series of Top 10 hit singles on the country charts during the late 1960s, Anderson signed with Columbia Records in 1970. Under Columbia, she had her most successful string of hits. 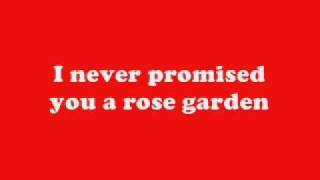 Her signature song, "(I Never Promised You A) Rose Garden," remains one of the biggest selling country crossover hits of all time. In addition to topping the U.S. country charts for five weeks, the song reached No. 3 on the Billboard Hot 100, her only Top 40 hit. It also topped the charts in several countries around the globe, an unprecedented achievement at the time. CMT ranks "Rose Garden" at No. 83 on its list of the "100 Greatest Songs in Country Music History". Anderson continued to record and remained a popular concert attraction until her death, regularly headlining major casino showrooms, performing arts centers, and theaters. 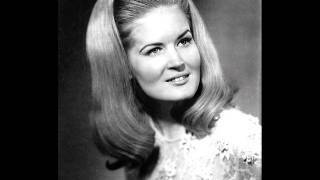 Lynn Anderson was born in Grand Forks, North Dakota, however, she was he was raised in Fair Oaks, California. She was the daughter of country music songwriters Casey and Liz Anderson. Lynn Anderson's great-grandfather was born in Aremark, Norway. In later life, Anderson met her Norwegian relatives through the Norwegian TV series Tore p sporet. Throughout the 1970s, Anderson made frequent guest appearances on many television specials, talk shows and variety shows. Because of her crossover appeal, she often appeared on shows where country artists were not regularly seen. At the height of the show's popularity, she had a starring role in an episode of Starsky & Hutch. She made several appearances on The Tonight Show, and appeared on three Bob Hope television specials. Anderson frequently guest-starred on various Dean Martin television specials. She also hosted her own television special in 1977, with guest star Tina Turner. In 1979, Anderson performed live at the Ford Theatre in Washington, D.C., included in the audience was President Jimmy Carter. That same year, Anderson recorded a single for MCA Records. In 1986, she signed with Mercury Records, which produced one album, What She Does Best, and five singles that were minor hits on the Billboard country chart in the late 1980s. She had two Top 40 hit singles with MCA--"Read Between the Lines" and a cover version of The Drifters' "Under the Boardwalk", which hit Top 25 country in 1988. In 1989, Anderson released her last charting single to date with "How Many Hearts", which peaked at No. 69. In 1990, Anderson starred as singer Betsy Hall in the BBC Scotland TV drama The Wreck on the Highway. She performed the song "Dream On" in the film, which consequently became a minor hit in a BBC collection of country standards. In 1992, she recorded a new studio album titled Cowboy's Sweetheart, released by Laselight Records.Emmylou Harris and Marty Stuart appeared as guest performers on the album. During the same time, the American Rose Society created a hybrid tea rose and named it the "Lynn Anderson" Anderson did not record any studio albums for the rest of the decade and became more focused on touring and performing, as well as non-musical projects. In 1999, she was inducted into the North American Country Music Association's International Hall of Fame. In 2015, Anderson signed with Center Sound Records to release a new country gospel album, Bridges. The album featured a gospel version of the Mentor Williams' penned hit "Drift Away", with new lyrics by the writer. It also contained vocal collaborations of Anderson with The Martins and Country Music Hall of Fame members The Oak Ridge Boys. The album was released on June 9, 2015, as both digital download and vinyl 45. 2017-2018 Country Music Hall of Fame and Museum Exhibit: "Lynn Anderson - Keep Me in Mind"
^ "Lynn Anderson i All sang p grensen". YouTube. September 13, 2008. Retrieved 2012. 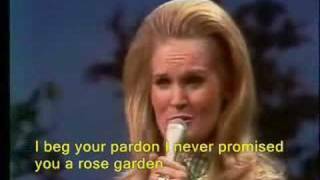 ^ "Lynn Anderson, Country Star Behind 'Rose Garden,' Dies at 67". Billboard. Retrieved 2015. ^ "Billboard - Google Books". Books.google.co.uk. October 11, 1986. Retrieved 2015. 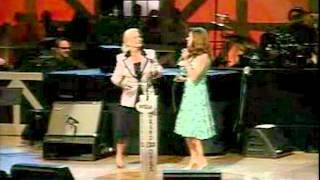 ^ "Lynn Anderson Remembered by Martina McBride, Travis Tritt & More Country Stars". Billboard. Retrieved 2015. ^ Welch, Bob (May 29, 2015). "At Home with Lynn Anderson". American Cowboy. Retrieved 2015. 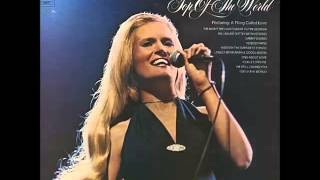 ^ "Lynn Anderson, Grammy Award Winner, Top Female Vocalist, Rose Garden". Lynnandersonshow.com. Retrieved 2015. ^ Moments By Moser (November 30, 2009). "Moments By Moser: INTERVIEW: Lynn Anderson". Momentsbymoser.blogspot.co.uk. Retrieved 2015. ^ Anderson, Lynn. "Anderson Arrested for Shoplifting". GAC News. Archived from the original on September 13, 2014. Retrieved 2014. ^ Anderson, Lynn. "Anderson Arrested for DUI and Civil Consent". Nashville.gov. Retrieved 2014. ^ Tamburin, Adam (September 12, 2014). "Country legend Lynn Anderson charged with DUI". Usatoday.com. Retrieved 2015. ^ Anderson, Lynn. "Lynn Anderson's Arrest Record". NNDB. Retrieved 2014. ^ "'Rose Garden' singer Lynn Anderson dies at 67". Tennessean.com. Retrieved 2015. ^ "Lynn Anderson". Western Heritage from the Texas Trail of Fame. www.texastrailoffame.org. 1 May 2013. Retrieved 2018. ^ "lynn". Center Sound Productions. June 9, 2015. Retrieved 2015. Lynn Anderson - Queen Of Hearts. 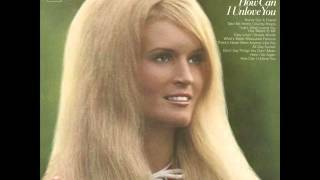 Lynn Anderson - "There Aint Gonna Be No Another Time"